The data protection process sometimes has objectives that seem to be in opposition to one another. On one side, the organization needs rapid and frequent data captures so that RPOs and RTOs are met. On the other side, there is a need for cost effective long term retention so that the organization is protected from ransomware. Finding the right balance between these extremes is called hitting the data protection sweet spot. 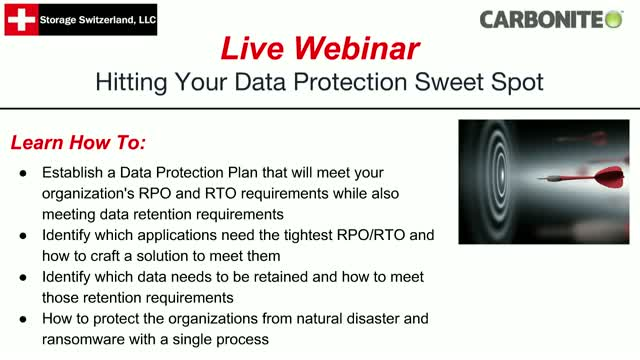 In this live webinar, experts from Storage Switzerland and Carbonite will help you get there.